Apple Music launch confirmed by Sony CEO | What Hi-Fi? Sony Music CEO, Doug Morris, revealed Apple's worst-kept secret over the weekend, confirming Apple Music would launch today at Apple’s WorldWide Developers Conference. Speaking at the Midem music conference in Barcelona on Sunday, Venturebeat reports that Morris said: “It’s happening tomorrow.” Which is today - with WWDC due to get underway at 6pm UK time. Speaking about the launch of Apple Music, Morris said: “A rising tide will lift all boats. It’s the beginning of an amazing moment for our industry. Apple is expected to launch its streaming music service to take on Spotify and the rest later today. 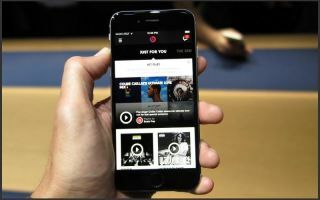 It's expected to be a revamped and rebranded version of the Beats Music streaming service, which was already live in the US. Read all about how much Apple Music is expected to cost, how you can get it and when it will be released, in our Apple Music round-up.